The Home of Cricket will host four group games before staging the final on 14 July. There are few cricket grounds in the world as iconic as Lord’s. First opened in 1814 and home to international cricket since 1884, Lord’s has hosted 10 ICC Cricket World Cup fixtures, including the finals of the 1975, 1979, 1983 and 1999 editions. 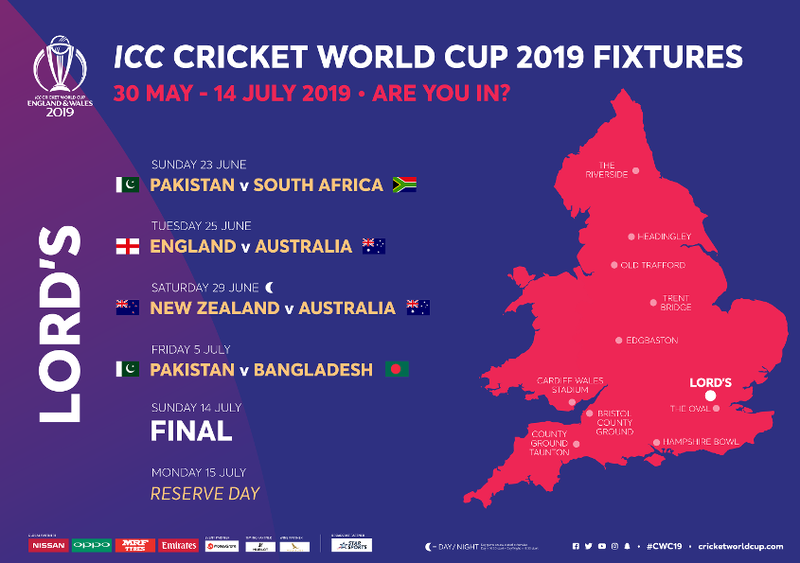 At the ICC Cricket World Cup 2019, the Home of Cricket will host five fixtures, and will once again be the venue for the World Cup Final. The highest World Cup total at Lord’s was hit on the first occasion it hosted a fixture in the tournament, with England scoring an impressive 334/4 against India back in 1975. To find out more about the accessible facilities and services at Lord's, check out the CWC19 Access Guide here. Plan ahead so you can make the most out of your day at Lord’s during the ICC Men’s Cricket World Cup 2019. Lord’s is very close to the centre of London and easy to reach by London Underground and London Bus. St John’s Wood Station on the Jubilee Underground Line is approximately a five minute walk away. Baker Street Station is approximately a 10 minute away and Warwick Avenue, Marylebone and Edgware Road Stations are all within a 15 minute walk. For more information on the local bus network and the London Underground, please see www.tfl.gov.uk. Visitors travelling to and from central London are advised to alight or board Underground services at Baker Street Station and follow a signed walking route at street level as St John’s Wood Station becomes very busy. World Cup Cricketeers will be present to help answer and questions and guide you to the ground. Marylebone Station is operated by Chiltern Railways and is the closest rail station to Lord’s. Paddington Station is approximately a 20 minute walk from the ground, for services to West and South West England and South Wales. 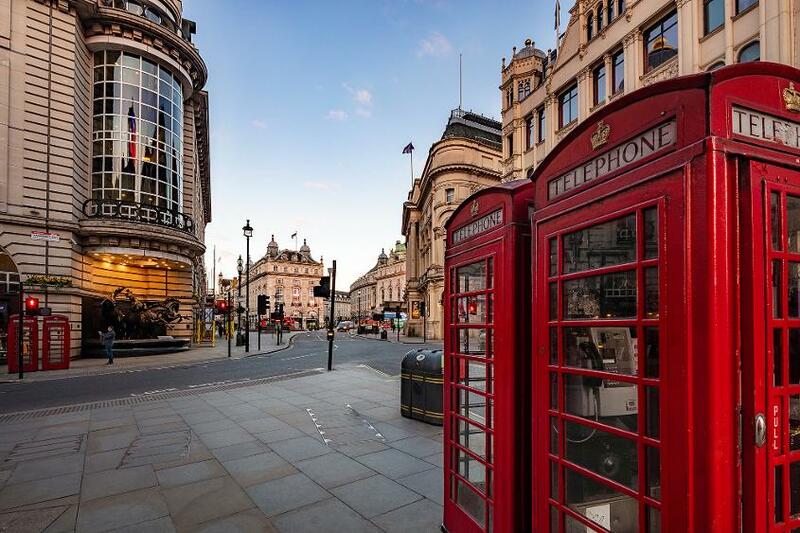 Euston, King’s Cross and St Pancras International Stations are also within an easy taxi ride or public transport connection. For more information on rail services please see www.nationalrail.co.uk. Lord’s is also well served by buses with routes 13, 113, 139, 189, 274 all stopping within easy walking distance of the main gates. The 13 and 113 routes run adjacent to Lord's on the Wellington Road to the east of the Ground. The 139 and 189 routes run adjacent to Lord's on Grove End Road to the west of the Ground. For more information on the local bus network and the London Underground, please see www.tfl.gov.uk. If you live close to Lord’s or just fancy a bit of exercise before or after the match, why not make the journey on foot? Please see www.tfl.gov.uk/campaign/active-travel for more information. Lord’s is also well served in terms of cycle hire docking stations, see www.tfl.gov.uk/modes/cycling/santander-cycles for more information. There are plenty of taxis operating in the area and a designated taxi rank is located on St John’s Wood Road at the end of the match. There is no parking around Lord’s and spectators are encouraged to use public transport where possible. For people with accessibility requirements, set-down and pick-up passes may be obtained by contacting the MCC Club Facilities Department on (+44) 020 7616 8653.